Client wanted the photo as the main backdrop for the wedding weekend itinerary. Last names and headlines were in different fonts to make them stand out more. Client provided ideas of ‘sparkle’ used for the save the date and wanted the colors gold, silver, black, and white. 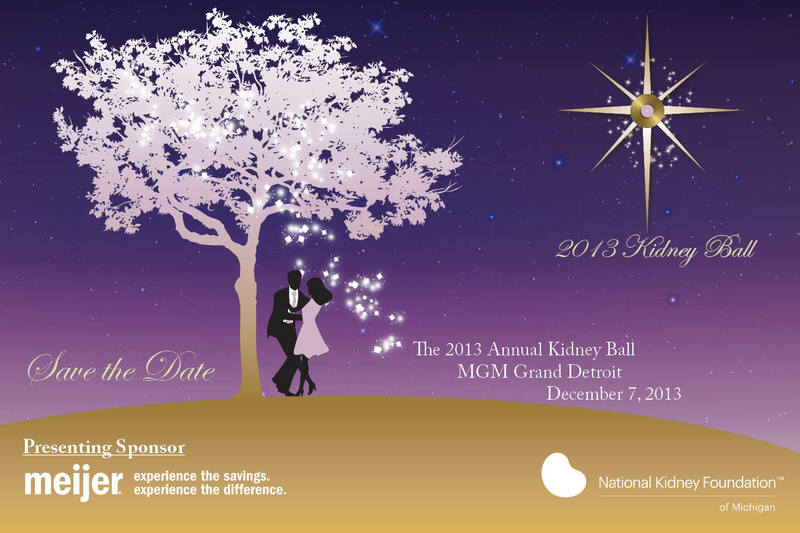 NKFM theme for the Kidney Ball, an annual black tie event, to be ‘A Midsummers Night Dream’. The committee chose the colors purple and gold. The ‘gold record’ in the star of the logo represents the ‘Motown’ music.